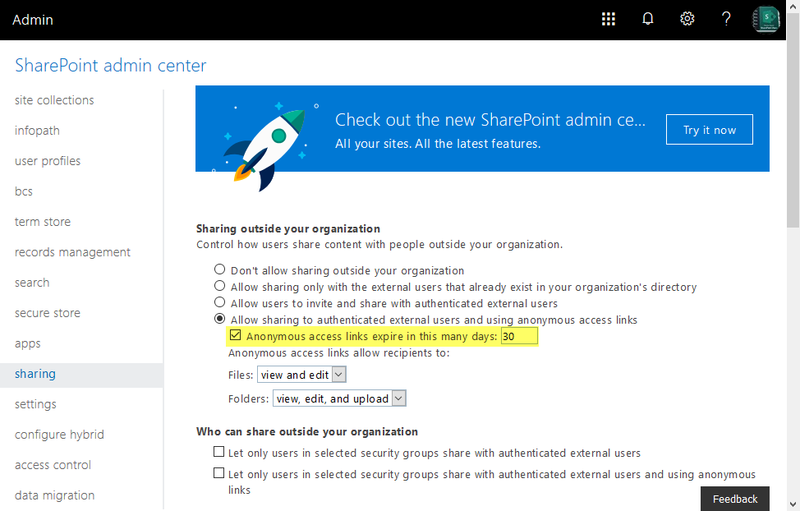 Requirement: Configure Anonymous Link Expiration in SharePoint Online. How to Set Expiry for Anonymous Links in SharePoint Online? Click "OK" in the bottom of the page to save your changes. Open SharePoint Online Management Shell and run this PowerShell script to configure guest link expiration in SharePoint Online. Now, when you try to share a anonymous link, the link expiry days will be set to 30 by default (or whatever you configured). You can change the expiration date by providing a day lesser than the value configured in tenant level, But you can't set expiry date beyond the limit you set in above PowerShell script on in SharePoint Online Admin Center! This makes the link invalid after a certain number of days configured. 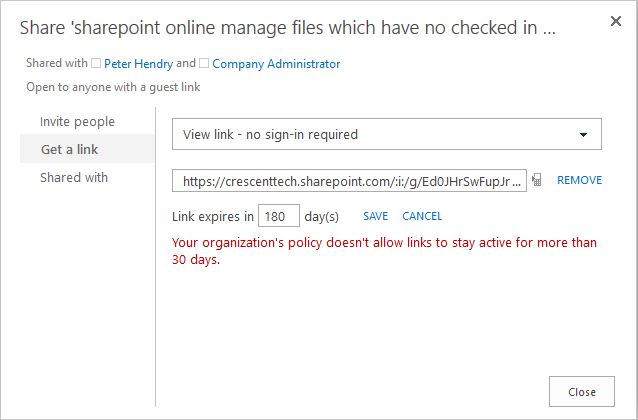 If you try to change the link expiration date beyond the limit set, You'll receive an error "Your organization's policy doesn't allow links to stay active for more than 30 days." This expiry days settings is applicable to both SharePoint Online and OneDrive. This minimizes the security risk.